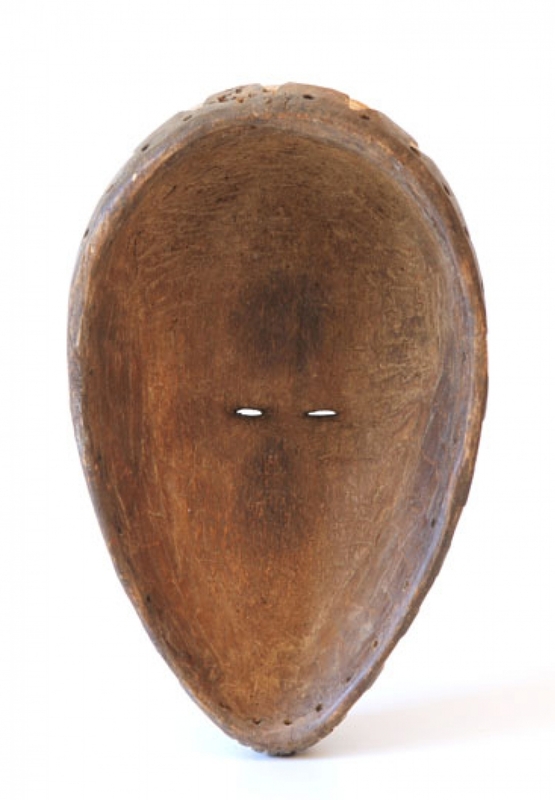 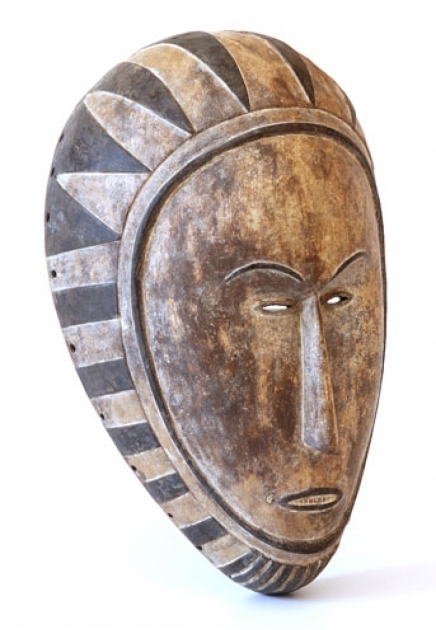 A fine reproduction of Ngon-Tang mask, its famous original was formerly held in the collections of Maurice de Vlaminck and Andre Derain .This lovely Ngon-Tang (“young white woman") mask is designed with an oval face, a curved forehead and cheeks, a long narrow nose, a small mouth with thin pouting lips, and narrow suspicious eyes. In its perfect form, this mask was used in the Ngon-Tang dance, in order to hunt out witch doctors or cure illness. 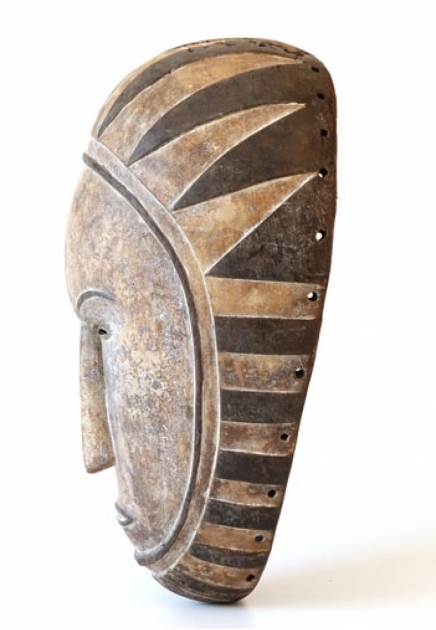 The mask is decorated with a fine frieze and alternate black and white triangles, enhancing its beauty. 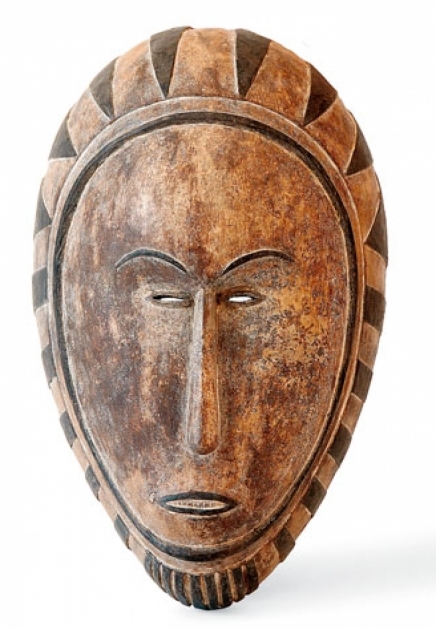 Traces of whitish clay coating, which represent death - the color of the ancestors - are evident.